It’s often difficult for dogs to get used to living in a shelter. Even if a shelter has the most caring volunteers and staff members, the pup might still be anxious. They might not be used to the noise of all the other animals, and they might get nervous in their kennels. 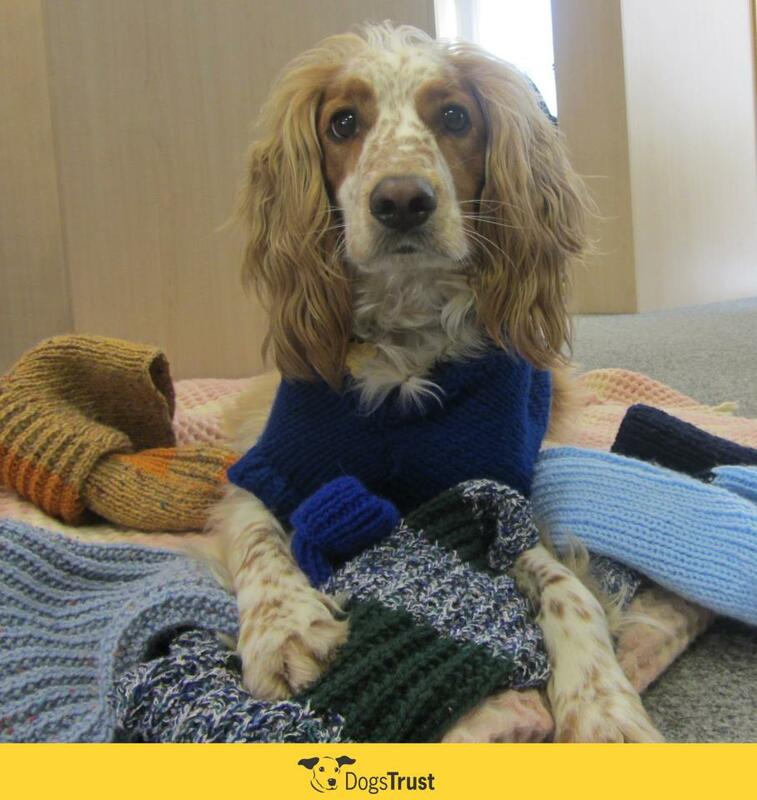 A shelter in England called Dogs Trust has found a great way to help give shelter dogs a little comfort and warmth. They asked volunteers to knit blankets and sweaters for the pups. These handmade blankets help give shelter dogs a little piece of home. They also keep the dogs cozy on those cold fall and winter nights. 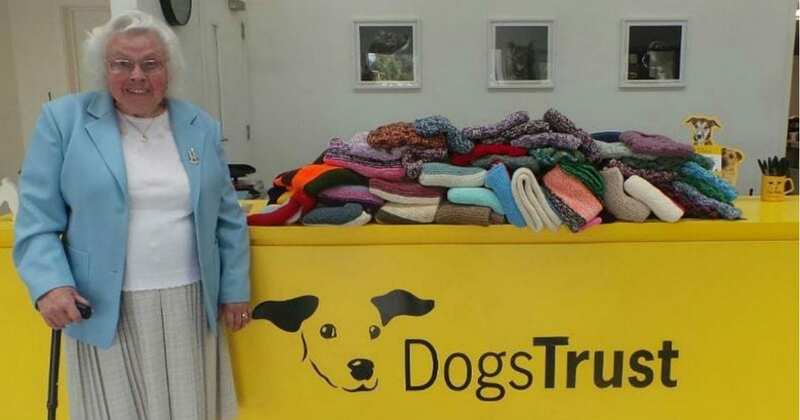 Since Dogs Trust put out the call for handmade blankets and sweaters, they’ve received tons of donations. But one woman has gone above and beyond: 89-year-old Maisie Green. Over the years, Maisie has donated more than 450 homemade blankets, sweaters, and coats to Dogs Trust! 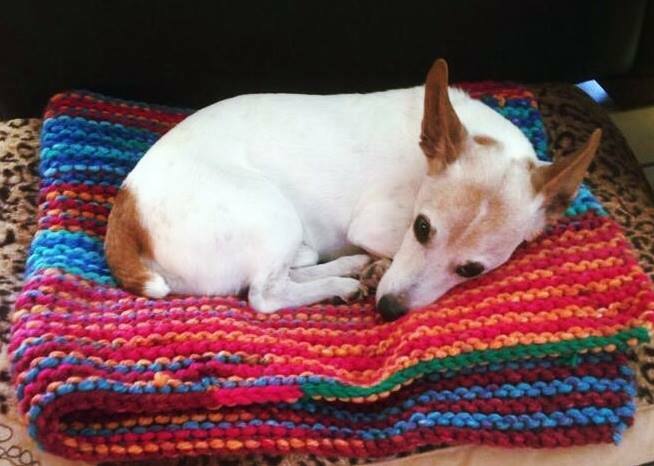 Maisie typically donates blankets and sweaters three times a year to her local rehoming center in Basildon. Her family drives her over to the shelter, and she hand-delivers her creations to pups in need. Maisie loves seeing how much joy her blankets give the shelter dogs! Lisa Cooper, the Rehoming Center Manager at Dogs Trust Basildon, said she’s always happy to see Maisie. “Maisie regularly brings along her knitted donations and we are so grateful for her support. 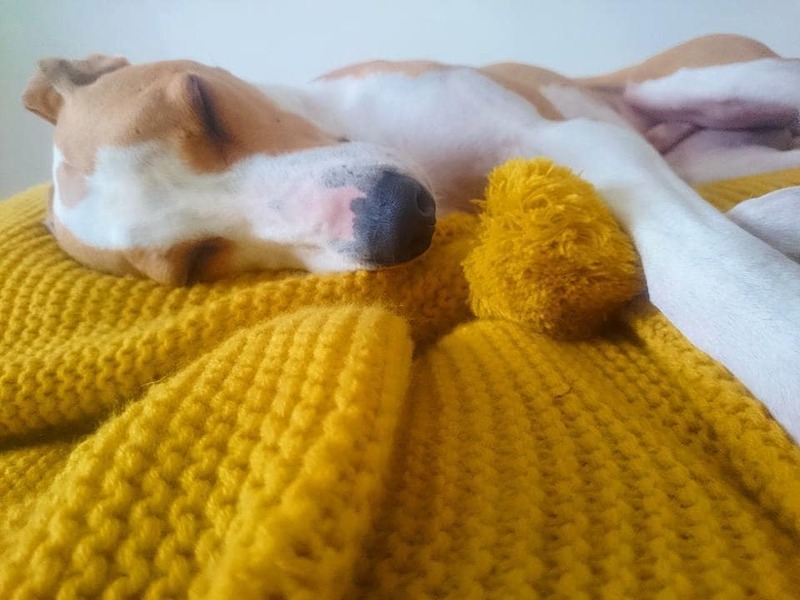 With the chill of the Winter months really starting to creep up on us I know our dogs are very pleased to put the items to good use – and love feeling extra cosy!” Cooper wrote on Dogs Trust’s website. 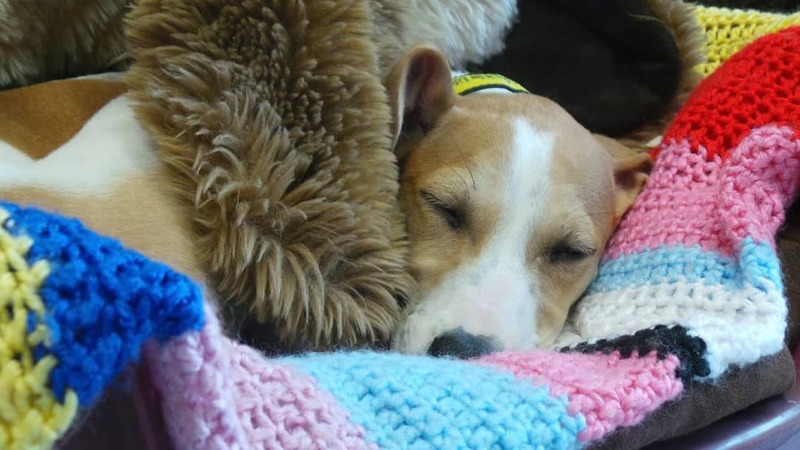 On their Facebook page, Dogs Trust shares photos of their pups enjoying the blankets Maisie and the other volunteers created. It’s amazing to see how relaxed and happy they look on their colorful blankets. Maisie was thrilled to hear that the dogs are enjoying her blankets and sweaters. “I’m delighted to be helping the four-legged residents at the centre in some way,” she said. 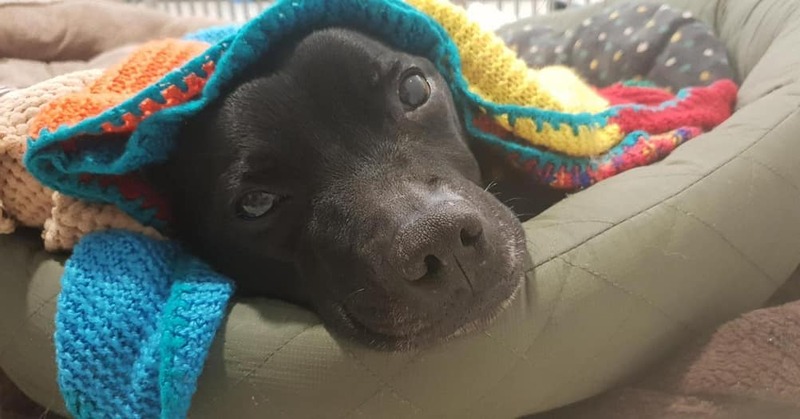 Dogs Trust shared a photo of Maisie and her blankets on their Instagram page, and it quickly went viral. Everyone loved seeing Maisie’s beautiful act of kindness. 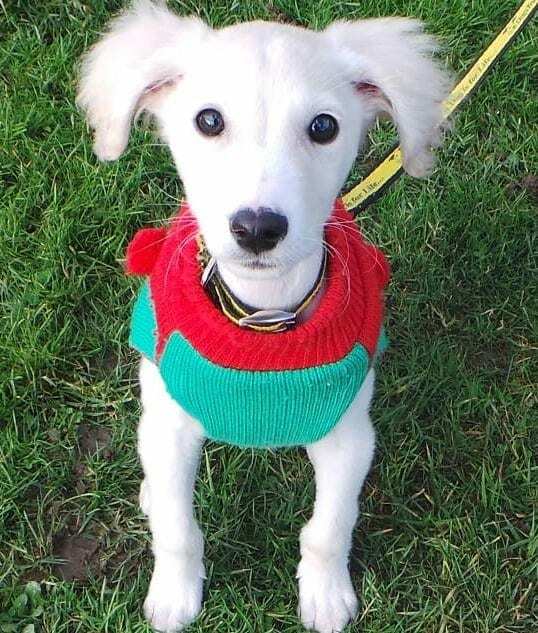 Maisie is a kindhearted woman who has helped make life a little bit easier for shelter dogs in England. If you want to learn more about Dogs Trust, check out their Facebook page.